Vanderbilt University Medical Center (VUMC) is introducing a host of customer-focused digital tools to increase access and help patients better manage their health. A new way to schedule appointments is now featured on the Vanderbilt Health and Monroe Carell Jr. Children’s Hospital websites. The “Request an Appointment” button allows website visitors to provide information quickly and securely to help patient service representatives reach them to finalize an appointment. Additionally, the MyHealth at Vanderbilt secure online patient portal has recently added direct appointment scheduling for mammography. Patients are allowed to select appointment times and book the opening through the portal. “We continue our journey to meeting the access needs of our patients and referring physicians by leveraging technology,” said Brian Carlson, director of Patient Experience and Access. With the “Request an Appointment” function, once the patient presses the Submit button, the information is relayed to the centralized access center where representatives can respond to the request. The project is a partnership between physicians, Patient Care Centers and the Access Center, Carlson said. The new features come as VUMC has other tools in the works to improve the patient experience while visiting the Medical Center or accessing Vanderbilt’s website on the go. A team is working on a version of the MyHealth website tailored specifically for mobile devices. 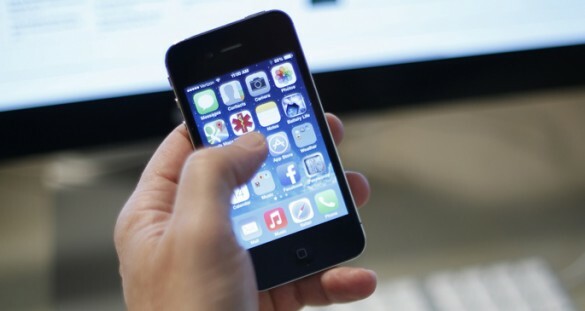 The website would automatically detect the type of device a patient is using and resize the pages accordingly, said S. Trent Rosenbloom, M.D., MPH, associate professor of Biomedical Informatics, Medicine and Pediatrics, and vice chair of faculty affairs for the Department of Biomedical Informatics. That work is happening alongside an effort to launch a mobile app for MyHealth that would allow patients to get information about upcoming appointments and manage their account, Rosenbloom said. Both mobile platforms are scheduled to launch in the coming months, he said. Another feature scheduled to launch in the coming weeks aims to help patients with smartphones to find their way around the Medical Center. A team is working on a mobile app that will help patients more easily determine where they are, said David Andrews, manager of Guest Services. The wayfinding application will augment the team of guest services staff already helping patients find their way, Andrews said.